Check out this smiling Buddha, sitting still, mastering his own mind and body in complete happiness! The radiance around him shows he has also mastered his energies, raising them up to the crown and activating the pineal gland. All or most of the sacred traditions depict this energy of light emanating from humans in some way. 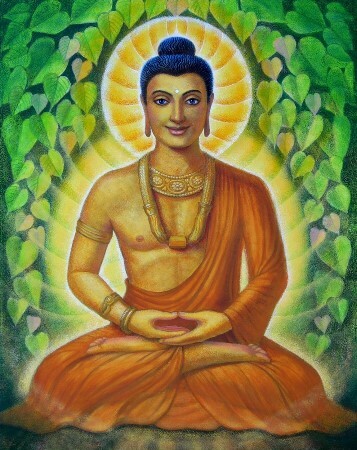 The mystery of how they achieve it is revealed in the chambers of our own heart and dna if we sit, ask and listen: direct knowledge is superior to book knowledge, as Buddha and Jesus both told us. Reflecting on the words of these wise ones, we can begin to further unwind our worldly mind which wants to grasp and cling onto concepts, precepts, taboos and tattle tales. Releasing these, the universal energy that we already are, can begin to speak with us through that “still small voice” which patiently awaits our own inner timing. How will our ability to co-create happiness and compassionate action in the world increase as we each in our own way seek within for that peace, that happiness and that love, quantifying the energies of Life towards the replenishment of that sustaining cosmic Manna that is our heritage? 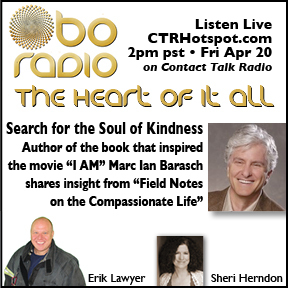 Our guest this week on OBO Radio: The Heart Of It All Marc Ian Barasch will help us discover the ways and means to Happiness and Compassion. 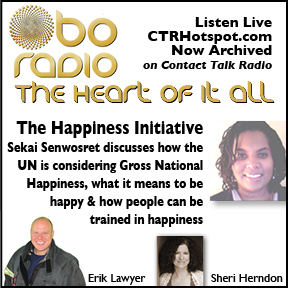 Last week, our guest Sekai Senwosret shared about the Happiness Initiative and how this is being translated into higher order economics. Aside | This entry was posted in raw vegan. Bookmark the permalink.